Stage dance is a form of theatrical performance that combines jazz dance with acting and song. The story and emotional content of a musical – humor, pathos, love, anger – are communicated through the music, movement and technical aspects of the entertainment as an integrated whole. Stage class is very similar to musical theatre, however, students lip-sync rather than sing with voice. Stage class is perfect for students who have a genuine passion for performing. Students get a chance to put on a Broadway style routine in our annual recital at the end of each year. Panorama School of Dance has been offering dance classes in Surrey for over 35 years. Our experienced and friendly staff make our stage dance classes something that students truly look forward to attending every day. Getting your child enrolled in one of our dance classes is incredibly easy. You have the option of registering your child online within a few minutes from the list below. Simply select the location at which you would like your child to be enrolled in and the level they fall under. If you have questions regarding our Stage dance program, or any other questions regarding our dance school feel free to call us at (604) 599-9351 (Ridge Studio) or (604) 599-4011 (Fleetwood Studio). Stage is a form of dance which includes acting and lip syncing with jazz based choreography. This class will benefit the students' expression and performance both in class and on stage. Students will learn routines from popular stage productions. Previous dance experience is required. * Pre requisite for this class is two consecutive years of ballet or jazz training. * Stage is a form of dance which includes acting and lip syncing with jazz based choreography. This class will benefit the students' expression and performance both in class and on stage. Students will learn routines from popular stage productions. * Pre requisite for this class is three consecutive years of ballet or jazz training. * Teacher placement required. Stage is a form of dance which includes acting and lip syncing with jazz based choreography. This class will benefit the students' expression and performance both in class and on stage. Students will learn routines from popular stage productions. * Pre requisite for this class is 2 - 3 consecutive years of jazz training. Stage is a form of dance which includes acting and lip syncing with jazz based choreography. This class will benefit the students' expression and performance both in class and on stage. 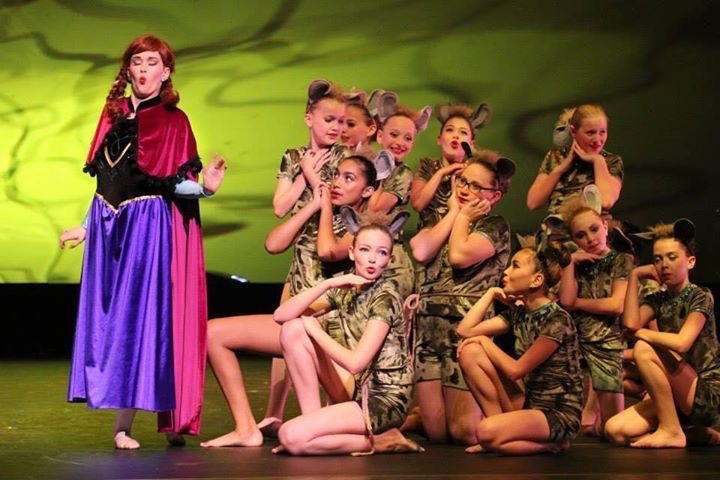 Students will learn routines from popular stage productions.